Earlier this week, Kazakhstan’s foreign minister attempted to lay out why Kazakhstan would be hosting snap parliamentary elections next month. “Strong leadership and a clear strategy … to overcome the current economic climate,” according to Foreign Minister Erlan Idrissov, are the reasons that “President Nursultan Nazarbayev approved a parliamentary initiative to dissolve the lower house and call an early parliamentary election.” Parsing the rhetoric, it’s not difficult to discern why Astana opted, once more, for ad-hoc elections. Considering the country’s currency has vied with the ruble for the world’s worst-performing, and coming on the back of the recent recession projections, Astana’s hoping to get ahead of the rumbling criticisms about the country’s stewardship. Elections may help sap some of the rising frustration — and provide a veneer of discourse between the government and the governed. 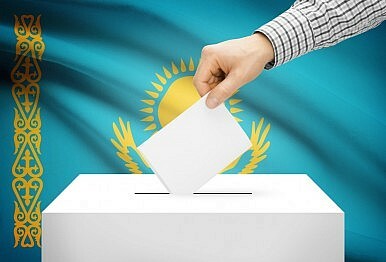 Fortunately, if recent elections are any indicator, Kazakhstan will likely have little problem finding external electoral monitoring organizations to stamp the government’s efforts at hosting an election. To be sure, the OSCE — the lone legitimate election monitoring organization cited within Idrissov’s piece — has never deemed a Kazakhstani election as free and fair. After the April presidential election, the group concluded that “while the election was technically well-administered, the absence of opposition candidates and of a vibrant political discourse resulted in a non-competitive environment.” The CIS and SCO, meanwhile, have shown little compunction in hailing elections that offer little political opposition, and that see the president re-elected with 98 percent of the vote. The election’s conclusions are, almost certainly, foregone; as The Diplomat’s Catherine Putz wrote, “Given that Nazarbayev’s party will likely retain its supermajority, it’s unclear where the new debates and fresh ideas will come from.” However, it is the “other organizations” at which Idrissov hints that offers potentially the greatest interest to election-watchers. After all, during Kazakhstan’s last election, the country saw a remarkable intake of “zombie monitors” willing to praise an electoral result that saw Nazarbayev claim nearly 100 percent of the vote. A handful of Western observers parachuted into Kazakhstan, publicly welcoming the “openness” of a “very important democratic event.” One, Alex Vatanka, a senior fellow at the Middle East Institute, went so far as to claim that “Washington believes the presidential elections were conducted properly.” The election also saw the finest example yet offered of Kazakhstan-friendly whataboutism, with Sophia McClennen, a Pennsylvania State University professor, listing the “prime ways that Kazakhs get democracy better” than the United State. Whether any of these monitors will reprise their roles in praising an election whose conclusions are foregone remains to be seen. But if Kazakhstan’s recent history is any indication, Idrissov may well succeed in finding those who believe Kazakhstan’s election is “open, transparent, and fair” — no matter how predetermined the election’s results, and no matter how many political opposition figures remain jailed. Not only was the recent election more of the same, but Astana seems to have roped the same experts into praising it.